At Savior, we are blessed with a number of clergy, and since several have joined our clergy team recently, I wanted to make sure you met them. On a Saturday evening, you’ll generally see me (Fr. Kevin), Mtr. Karen, and Deacon Sandy at the Holy Table. Karen works for Savior part-time, leading and coaching our staff; she also works part-time in her own leadership-coaching practice, Strengthen Your Leadership. Sandy works at Outreach Community Ministries as a social worker and volunteers much time to serve Savior—for example, leading our acolytes and altar guild, and taking Eucharist to shut-ins. Did you know she bakes our Communion bread each week? Fr. Bill and Mtr. Linda, our founders, may think they were retiring, but they often serve as prayer and Communion ministers; they also preach and celebrate as needed. I am grateful I can sometimes ask Bill and Linda for their wisdom and knowledge of the parish. Of course, Linda leads our annual Blessing of the Animals. Fr. Aaron Harrison (and spouse Whitney) came to Savior this year. During the day, Aaron teaches Bible and logic to middle-school and high-school students. Fr. Aaron and Deacon Sandy will lead a session explaining our liturgical worship early next year. 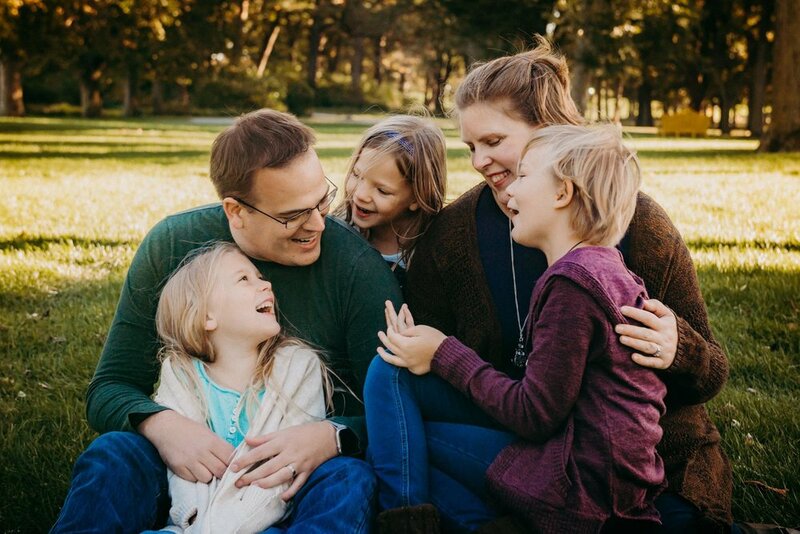 Deacon Brad Lindsay (spouse Sarah, now on staff, and children Isabel, Claire, and Vivian) came to Savior in 2017, when the family moved to Wheaton. You’ll see Brad serving as a prayer and Communion minister and leading our new Welcome ministry. Deacon Josh Steele (and wife Rachel, and now baby Eva) came to Savior about the same time as Brad, to begin work on a doctorate in theology at Wheaton. Josh launched the current Savior website and Breeze, helps lead and teach our youth on Wednesday evening, and assists in coordinating pastoral care. He and Rachel also lead music team sometimes. Our other resident theologian, Deacon Emily McGowin, came to Wheaton this summer to teach theology. Her husband, Fr. Ron McGowin, serves two parishes within ACNA as interim priest—including our sister parish, Christ Redeemer in Milwaukee. Ron and Emily and their children, William, Emmelia, and Althea, were welcomed to Savior at our Anniversary on Saturday. All of these clergy pray for Savior and help as needed. I thank God for each one.